Volkswagen drivers are even more diverse than their vehicles, so why should financing be one-size-fits-all? 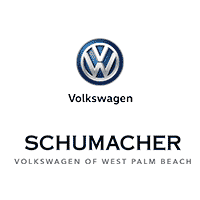 The experienced financing team at Schumacher Volkswagen of West Palm Beach, Florida, will work around your needs and build the lease or loan plan that best suits you. We take the stress out of the financing process so you can drive off our lot in your new or used VW sooner. Whatever your credit situation or preferences are, we can find a plan you’ll be comfortable with. You’ll also get the same friendly service you can expect from every stage of our car-buying process. Figure out what you can expect with our monthly payment calculator or get started on your loan with our convenient application form. If you have any questions about our financing options, contact us at (844) 807-6811 or stop by our West Palm Beach, Florida, dealership.